Warning: This is another television-and-therapy post, this time with a focus on superiority. 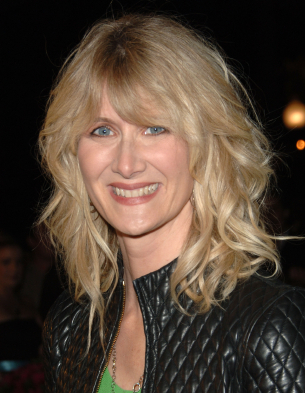 While flipping through the channels recently, I landed on HBO’s new series “Enlightened,” and stayed to watch because I admire actress Laura Dern’s work. She plays Amy Jellicoe, a corporate executive who has a dramatic flame-out, goes to a spiritual retreat center, and returns to her life as a new-and-improved Amy, she believes. While she gets on her feet, she lives with her mother, played by Diane Ladd, Laura Dern’s real-life mother. We get to see how Amy got to be such a mess, through seeing how cold, mean, and superior her mother is. And when new-and-improved Amy confronts stresses in her life, she reverts to mimicking Mom, without even realizing it. Mom has a pampered little dog she dotes on, but doesn’t miss an opportunity to criticize Amy. The dog can do no wrong; Amy can do no right. Amy reads a self-help book she got at the retreat center, and wants to reach and enlighten the people around her, starting with her mom (who asks how long she has to listen) and ex-husband (who cuts lines of coke while she’s talking with him). She wants to “have closure” with the married boss with whom she’d had an affair. Surprise: he’s not interested. Amy can’t even get her old job back. After Amy threatens the corporation with a lawsuit when HR says there’s no job for her, she’s given a menial job in the basement, a corporate version of the land of misfit toys, clearly an attempt to bore and humiliate her into quitting. There she unknowingly mimics her mother’s superiority and contempt toward her co-workers. She walks the edge of superiority, with the quick fall to abject humiliation always a threat. That’s how it goes: when a person feels small, they try to make themselves feel better by feeling superior to someone else—all to try to fend off the humiliation that’s lurking in the background. If the person didn’t have to be perfect, they wouldn’t have to feel so humiliated by making mistakes—i.e., being human—like the rest of us. As a viewer I want to say, “Amy, move out of your mom’s house when you get your first paycheck!” As a therapist, I know that moving out of her mom’s house won’t take her mom out of Amy’s head and stop her mom from driving the bus of Amy’s life right off the peak of superiority into the abyss of humiliation. It’s a wreck from which we can’t avert our eyes. Amy’s mom isn’t all bad; she is letting her stay at her house. It seems she provided custodial care during Amy’s childhood, which is enough to get Amy to chronological adulthood, but not enough to make Amy function as adults should. Amy’s mom did the best she could, but probably didn’t have her emotional needs met as a child. Amy’s predicament is common; most of us find ourselves saying something from time to time just like our parents used to say. If the parents were warm and loving, made conscious decisions, and functioned like responsible adults, learning from what they modeled will turn out well. The problem is that if that description doesn’t fit the parents, what comes out of our mouths sometimes isn’t so kind and the thoughts we have aren’t so rational. If you find yourself mimicking some parental attributes, including with your own kids, or in your relationship, that don’t lead to satisfaction, that are not ones you want to live by, there’s help. Therapy helps you look at what you learned from your parents that you like and want to build on, and what you learned that isn’t so useful in life. Therapy won’t make those problematic things go away, whether superiority or masochism, but through lots of hard work in treatment you’ll learn to see them before you act out on them and make a spectacular mess of things. If you’d like to learn more, reach out to me here. I look forward to speaking with you.